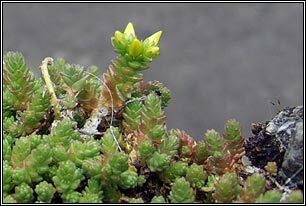 Flowering: June-August. 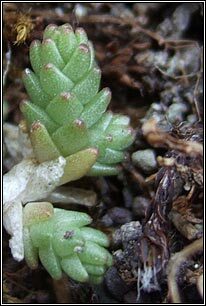 Succulent perennial. Native. broadest at base, peppery taste. Blunt-pointed. Mat-forming. Height: to 10cm. Mainly on limestone. Rocks, walls, dunes. 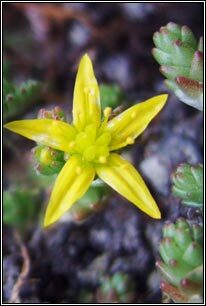 Commonest yellow-flowered stonecrop. 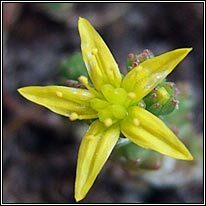 Similar: Tasteless Stonecrop, S. sexangulare. Smaller flowers, no peppery taste. Very rare. Introduced.